The customer is a leading staff solutions company since 1995. They have been providing comprehensive HR solutions for small and medium-sized businesses. They provide variety of services, which includes payroll and tax administration, HR consulting, risk management, regulatory compliance and staffing services. They serve over thousands of employees at 500+ work sites across Southeastern United States. 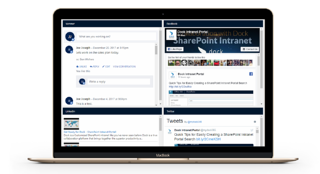 Benefits of Dock with SharePoint include easier user interface for faster user adoption. 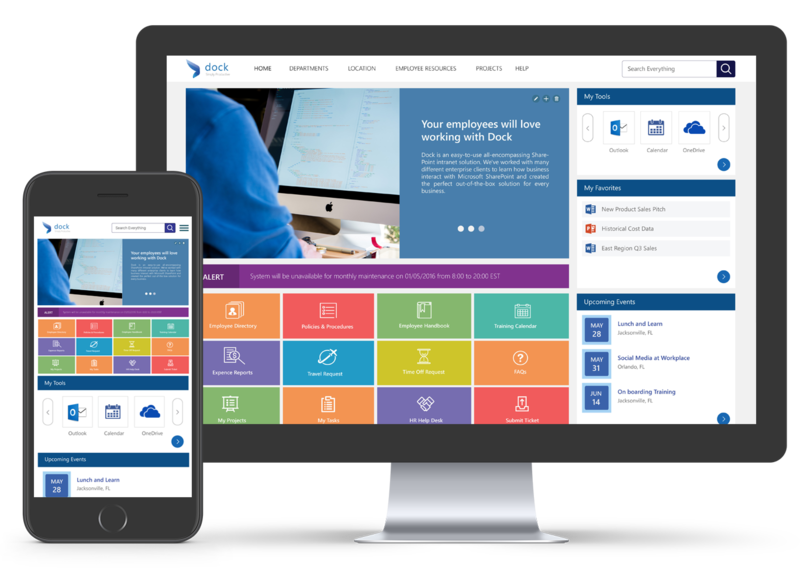 Refined searching throughout the intranet portal helping users to find information with ease. Customized company newsletter, alerts, document management, and upcoming events. Support the business in HR outsourcing and staffing solutions. 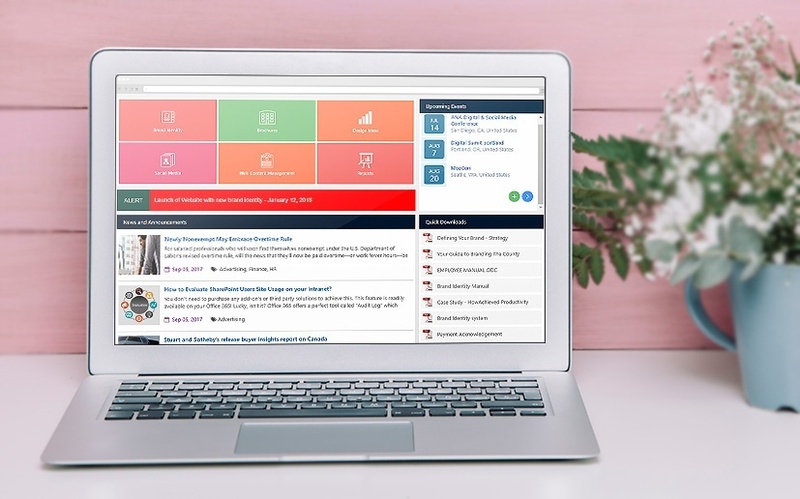 Helps connect with users at 500 work sites across the United States. The customer is a leading Credit Union based in Florida. It is one of the leading Credit Unions in the nation and serves over 500k members globally. Their dedication is clearly reflected in their vision to be the primary financial institution for our members and to bring credit union services to more people. 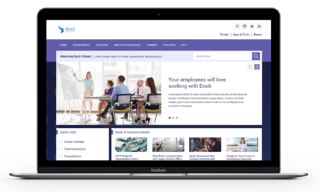 Benefits of Dock with SharePoint include vendor management, manages regulation documents, manages products and services, risk assessment and monitoring, heat maps for risk associated in their departments, tracking upcoming committee meetings, promotes collaboration and connectivity within employees. Equipped with risk register where it is a repository of risk details of the company and its subsidiaries. Risk manager and executive owner can see all the risks in the queue and monitoring queue. Manage regulations documents with respect to regulation types including version control feature. 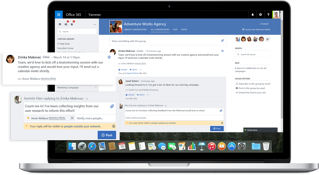 Enhanced employee collaboration and productivity. The customer is one of the longest running women’s professional sports associations in the world. Founded in 1950, the organization has grown from its roots as a playing tour into a non-profit organization involved in every facet of golf. Their headquarters are located in Daytona Beach, Florida. Benefits include improving processes. Media relations, fans and employees each have improved access to stats, tournaments, social media and news updates. Website portal is built using LogiAnalytics tool. Logi Info is used to display statistics of players and tournaments. Latest news and events, including social media integration. Ability to quickly view reports and statistics as well as navigate reports intuitively. The BairFind Foundation is a 501(c)(3) non-profit organization with the goal of getting the public involved in the search for missing children. We do this by attaining high profile and long-term visibility of missing children’s profiles and spreading awareness about the problem of missing children today and how the public can get involved in the solution. Documents stored in one place. Access easier for users irrespective of their work locations. Stable and reliable system tasks that took 2-3 days to complete was achieved in minutes. Reduced IT support, maintenance costs. The customer is a well-established member owned Credit Union, offering the best financial solutions across Florida for the past 80 years. Their customers can take advantage of high-rate savings accounts, online and mobile banking, low-cost loans and other major services. They remain transparent to the CU philosophy of individuals helping individuals with entire range of financial products of convenience and value. 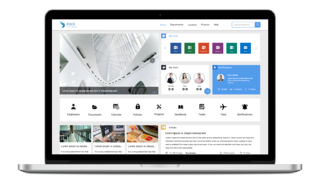 Benefits include training resources, human resources portal, interactive menus making it more user-friendly for the users, products and services knowledge base to make it easier for employees to follow, MSC resources and easy access to policies and procedures documents. One stop portal for all needs such as policies, MSR and teller procedures, product and services manual, references and much more. Document management made easy with Microsoft SharePoint technology. Cuts hardware costs and operating expenses. Reduces workloads for IT staff. The mission of our customer, as the single, unified voice of business, is to enhance the quality of life for all South Carolinians. Our customer leads the way in achieving global competitiveness and ultimately increasing prosperity for our citizens by creating a shared, collaborative vision for South Carolina. Increasing productivity through an educated and highly-skilled, capable workforce. Advocating a balanced, predictable tax and spending system. Fostering a favorable climate among our members and their diverse employees. As well as promoting the positive impact of a successful business community on citizens. Links and resources under my chamber integrated with SharePoint. Dedicated payroll self service center. Download the information from this page in a PDF to review later and share with your co-workers.